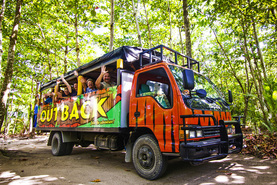 This All- Inclusive adventure begins the moment you are picked up by one of the colorful Outback Safari trucks! 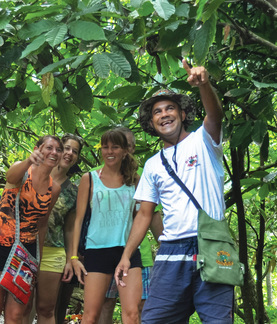 Friendly guides take you on an amazing journey into the heart of the real Dominican Republic. Enjoy beautiful scenery and local flora and fauna along the way. You’ll visit a coffee and chocolate plantation, tour a typical home, visit a rural school (feel free to bring any kind of school supplies like pencils, crayons etc to give to the children). Savor a delicious Dominican lunch served by pretty senoritas in national dress. Visit our artisan craft market where you can buy local products and souvenirs at local prices followed by boogie boarding or a massage at our beautiful hideaway beach. Water, Pop, Beer & Rum open bar served all day, even on the truck! 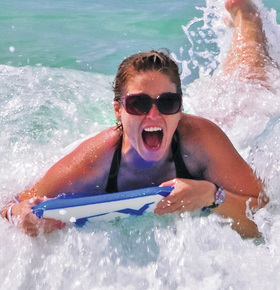 Included: Transport from hotel or central location in Cabarete/Sosua/Puerto Plata. Water, Pop, Beer, Rum open bar all day long (even on the truck); delicious authentic Dominican Lunch, plantation samples. PLEASE NOTE: Pregnant ladies are not permitted to take this tour. Anyone with back complications should seek medical advice before taking this tour. What You'll Need: Sunscreen, towel, sunglasses, camera, swimsuit (wear it), comfortable shoes, cash for souvenirs or local products you might want to purchase along the way.